This year, Simon & Schuster published a new edition of Ray Bradbury’s literary masterpiece, Something Wicked This Way Comes, which includes both essays on its development by the author and important critical essays and reviews. The lead essay is taken from Russell Kirk’s Enemies of the Permanent Things, which studies literature’s influence on society. This season of repentance in the Christian calendar provides a suitable opportunity to reflect on the inner reality that Kirk observed so well. Imaginative fiction of the caliber that Kirk and Bradbury produced can be one way to do so. 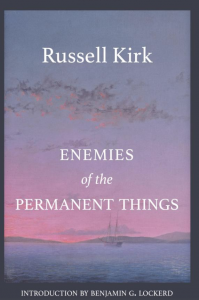 We’re pleased to share with you Russell Kirk’s essay from Enemies of the Permanent Things. Share this timely reflection with your family and friends, especially those who may have read Kirk and Bradbury’s stories. 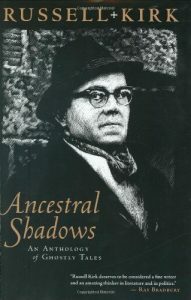 Russell Kirk (1918–1994) was a cultural critic and scholar who corresponded with T.S. Eliot and wrote regularly for the National Review. His influential formulation of postwar American conservatism blended a love of traditional values with a healthy skepticism of those who would manipulate those values. Like Bradbury, Kirk was critical of both the far right and the far left, and he was also an award-winning writer of light horror and ghost stories that ranged from traditional English haunts to American Gothic tales. 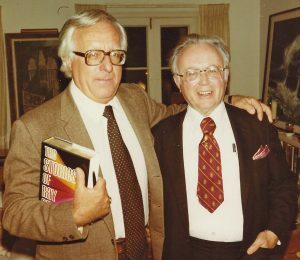 Bradbury and Kirk developed an enduring friendship in the early 1960s; in Enemies of the Permanent Things (1969), a widely-read study of literature’s role in society, Kirk devoted most of his chapter on Fantasy to Bradbury. The following excerpt presents Kirk’s careful reading of Something Wicked This Way Comes. A carnival comes to a small town; and two boys, thirteen years old, Jim and Will, are fascinated by it. But this particular carnival is not merry. Its master is the Illustrated Man, Mr. Dark, seeking whom he may devour. His captive freaks are sinners whose monstrous bodies are the personifications of their sins. His carousel, running forward or backward at great speed, will give human beings their desire of youth regained or age attained—and send the iron into their souls. His Mirror Maze will entrap the folk who seek what is not in nature, and will convert them into caricatures of themselves. Madame Tarot, the Dust Witch, can murder with a whisper. For centuries, preying upon frailty and folly, this carnival has wandered the world, its proprietors setting their snares for the unwise and the unwary, and often with success. This carnival’s power is mighty, and it converts the lightning-rod salesman into a hideous crumpled dwarf, old Miss Foley into a lost child. Jim, who would grow up too soon, stands on the brink of being whirled by the carousel into monstrosity. By lusting after the abnormal, by flouting the nature of things, old and young betray themselves into the freak-master’s clutch. Yet one power is stronger than the temptations and threats of the carnival; and that power is laughter. We laugh at the incongruous, at the absurdity of the unnatural. Rediscovering the weapon of humor, Halloway first baffles the Dust Witch, and then shoots her dead with a bullet on which he has imprinted a smile. Evil, after all, is ludicrous; and though God is not mocked, those creatures who batten upon tormented souls are aghast at healthy mockery. Just when all had seemed lost, Halloway and the boys destroy the carnival by mirth. But other creatures who prey upon warped souls will come to town presently, in some other disguise, and the fools who want everything will become their freaks. Evil, in essence, is the appetite to undo the natural order of things. It is the glorification of abnormality. And the price one pays for clutching at the unnatural is metamorphosis into a freak, or into a freak-master. In Bradbury’s fables of Mars and of the carnival, fantasy has become what it was in the beginning: the enlightening moral imagination, transcending simple rationality. The everyday world is not the real world, for today’s events are merely a film upon the deep well of the past, and they will be swallowed up by the unknowable future. The real world is the world of the permanent things, which often are discerned more clearly in the fictional dead cities of Mars or the fictional carousel of Cooger and Dark than in our own little private slice of evanescent experience. And—what is a wondrous thing in itself—the new generation of Americans are not blind to the truth of the fabulists, for Bradbury is their favorite author. 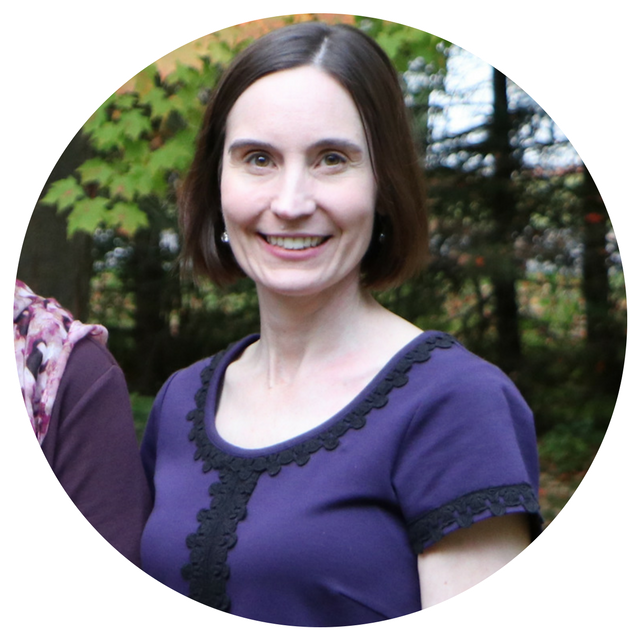 Cecilia recently became publications manager for the Kirk Center. A daughter of Russell and Annette Kirk, Cecilia grew up attending the seminars held by her parents and is delighted to promote her father’s writings and the wonderful programs underway at the Center.